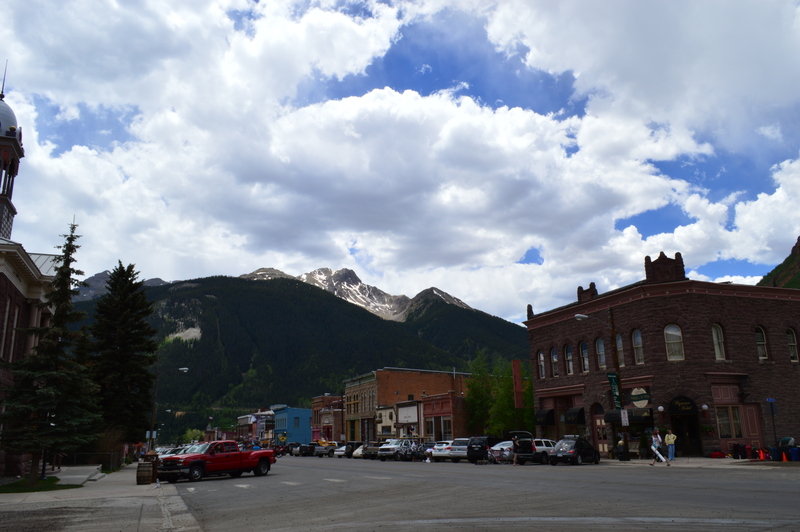 Our next stop after Durango was Silverton, which is a very small former mining town. 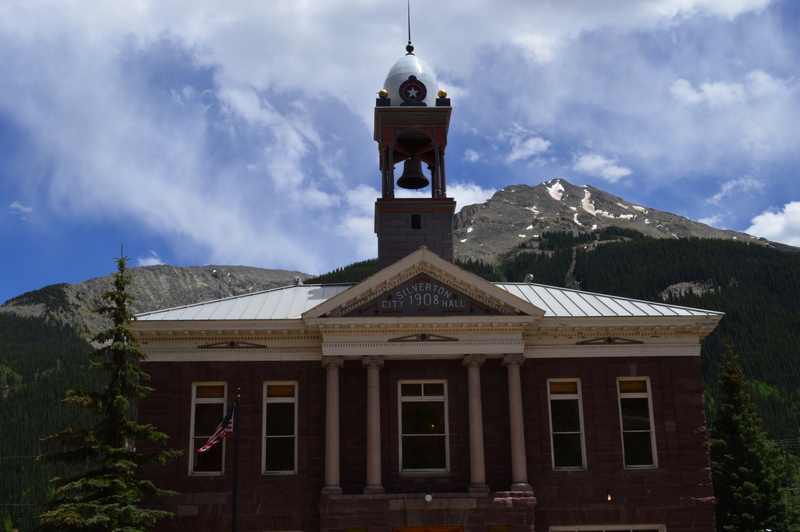 At 9300 feet, it is the 12th highest city in the country! It is a tiny little town, and we found that a lot of the restaurants in town were closed, so we only stayed one night. 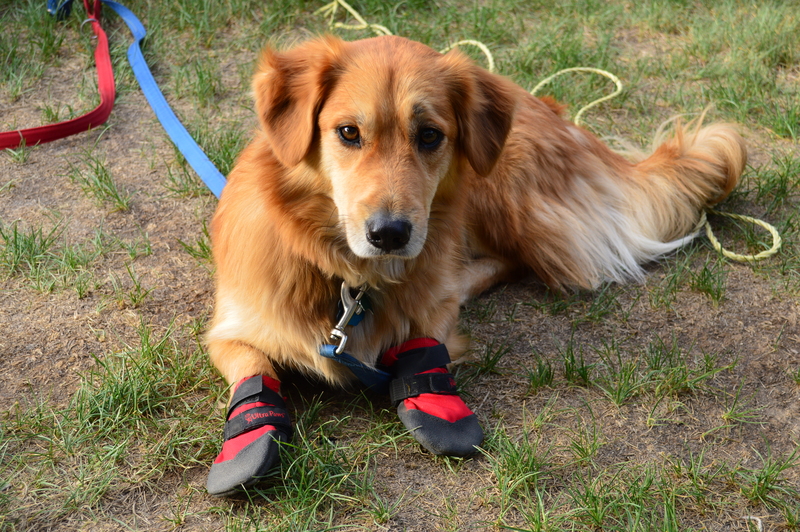 Shorty got a new pair of boots to help with his worn paw pads! If you ever want to get a lot of attention, try walking around a small town with a dog with boots on. Shorty was the talk of the town! 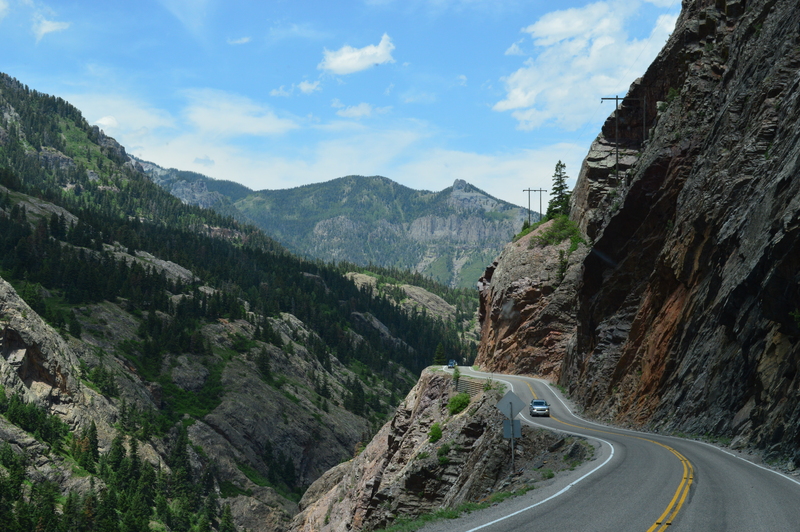 The next day we decided to drive to Ouray, where our friends Hans and Lisa were staying. 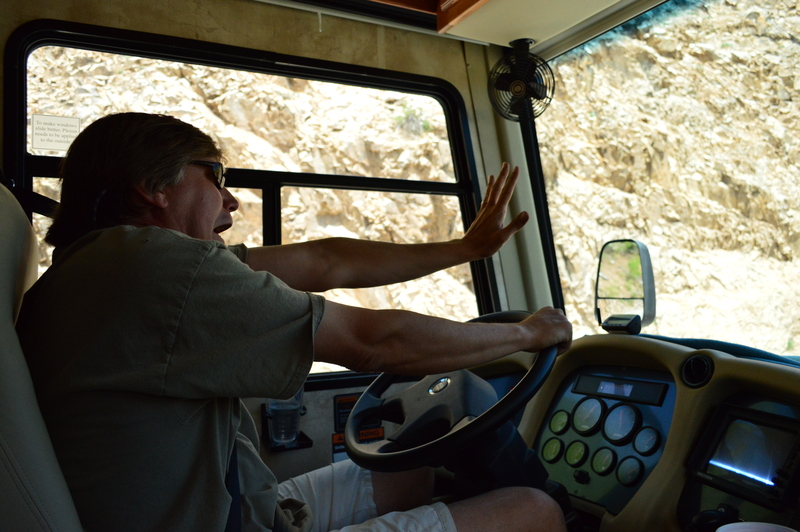 The drive is only 24 miles, but it’s a very narrow, twisty road with huge drop-offs and no guardrails. 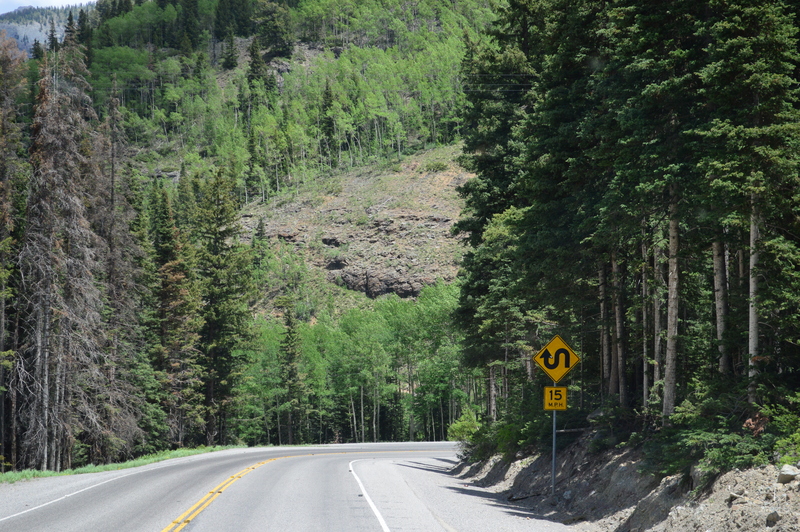 It’s been nicknamed the Million Dollar Highway, and we had heard mixed reviews about whether or not to take that route. Some people told us it was too difficult to do in a motorhome, but most people said it would be fine. So we elected to take that route, and it was a bit of a nail-biter! Beautiful views, but scary drop-offs! We arrived safely in Ouray and were immediately charmed by this adorable little town. We’ll be staying here six days!